Okta provides secure identity management and single sign-on to applications that you can add to your Okta account. From Okta, you and your users can log in to Okta and then access applications such as Sisense without having to log in to each application. 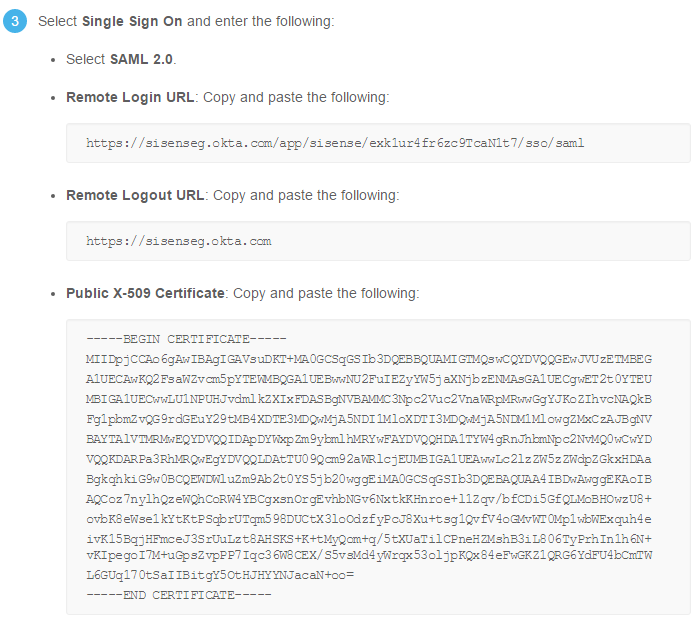 Okta supports applications that support SAML 2.0, such as Sisense. 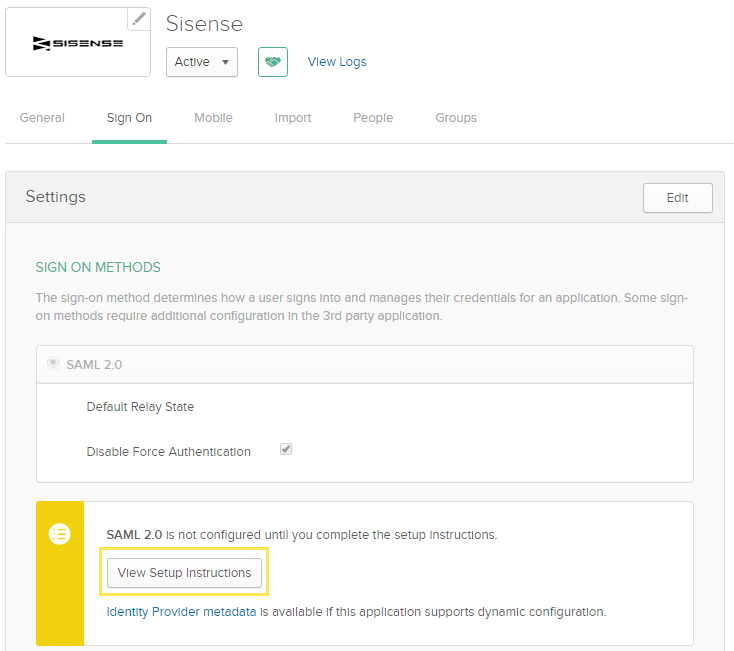 This page describes how to add Sisense to Okta and configure SSO-support with SAML 2.0. Note: This page reflects a 3rd party’s application which may change. If the steps described here do not match what you see in your Okta account, you can use the generic Sisense SAMLdocumentation, along with the IdP’s documentation. In the menu bar, click Add Apps. The list of supported Okta Apps is displayed. In the Search field enter Sisense and click Add. 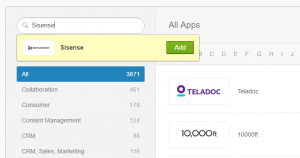 Sisense is added to your Apps. 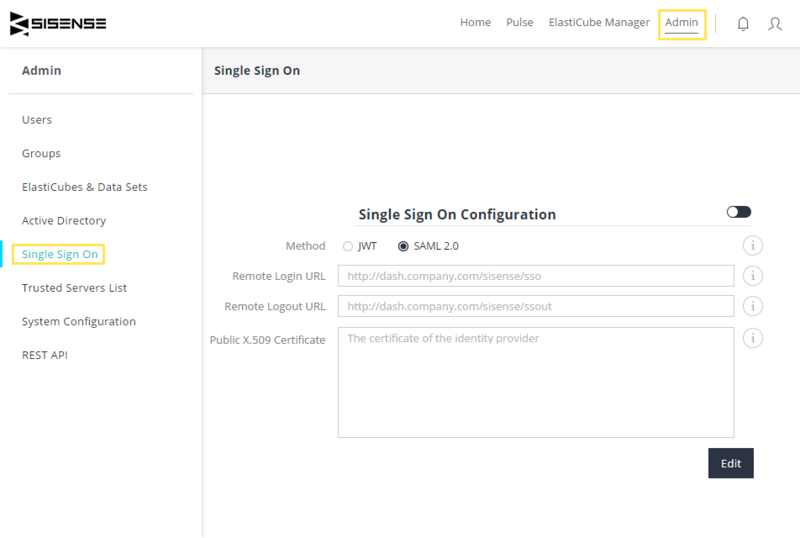 After you configure SAML 2.0 for Sisense, you can click this application in Okta to launch your Sisense dashboard. Under the Applications tab, select Applications. In the Applications page, click Sisense. In the Sisense app menu bar, click the Sign On tab. Under the Sign On tab, click View Setup Instructions. Okta’s setup instructions are opened in a new window. From this page, Okta explains how to configure SSO in Sisense. In Step 3 of Configuring SAML, Okta provides your SSO information, which Sisense needs to configure SSO. From the Okta setup instructions, copy the Remote Login URL, Remote Logout URL, and Public X-509 Certificate. 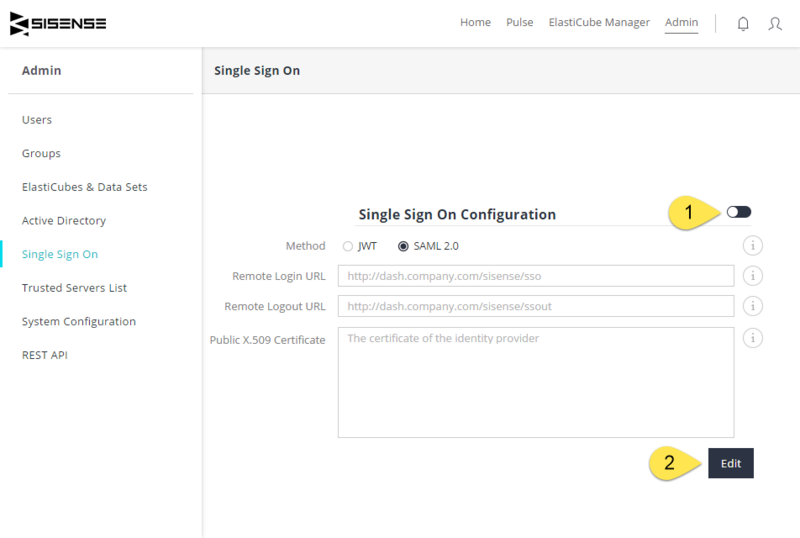 In the Sisense Web Application, select the Admin>Single Sign On. In the Single Sign On page, activate SSO and click Edit. In the Remote Login URL, Remote Logout URL, and Public X-509 Certificate fields, enter your Okta SSO details into the relevant fields described in Step 6 of this procedure. The Okta users you assigned to the Sisense application can access Sisense through Okta without having to log in to Sisense directly.